While you've been able to change the default install folder in Steam for a while, moving games you've already installed has been a pain. Valve seems ready to fix that with a new feature that lets you move games with a couple of clicks. Find the game you want to move in your Games library. Choose a new location where you'd like to store your game. The game should then be moved to the new spot on your computer. You'll have to do this process one at a time for each game you want to move, so you still might want to try the old method. However, for moving a couple of games, this is much handier. Unfortunately, this only seems to work for games that are already fully downloaded. If the game downloads part way, then stops and says "out of disk space", you still need to move it the hard way. In fact I'm not sure if moving it in this case actually works. Would be nice if the client could handle it. Unfortunately, the article skips a very important step. Until you've done this, you won't even have the option to move the folder. 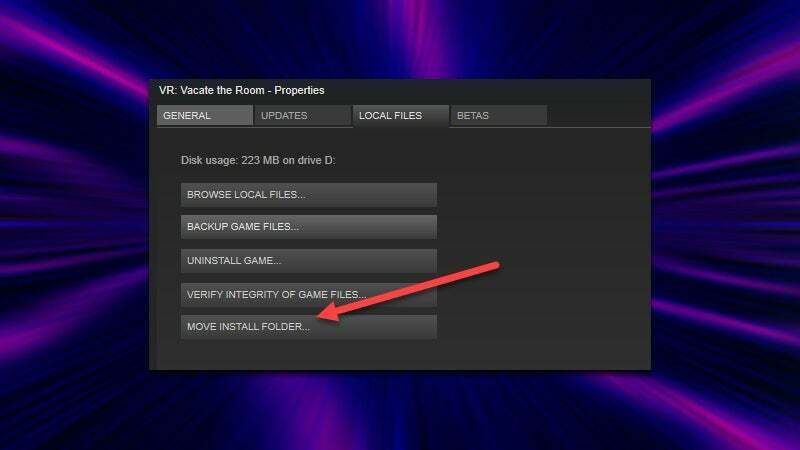 First of all, you need to create a second Steam Library folder in the location you want to move your game to.